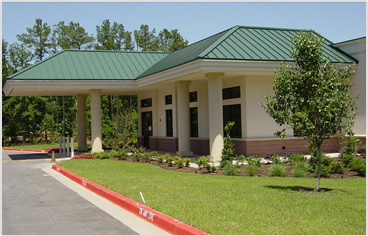 The Physicians' Surgery Center of Longview, includes two operating rooms, two endoscopy suites for gastrointestinal (GI) procedures, and a separate procedure room for pain management services. An expanded recovery area, outfitted with new equipment and the latest technology, will complete the patient's stay in comfort. "We have endeavored to create a center of excellence for ambulatory surgery and outpatient GI and pain management procedures," "Having a dedicate Ambulatory Surgery Center, will produce a better working environment for our physicians and more satisfied patients because they will be able to get quality care with less wait time." Ambulatory Surgery Center are facilities for procedures not requiring admission. They provide a cost-effective and convenient environment that may be less stressful than a hospital. Patients who elect to have surgery in an Ambulatory Surgery Center arrive on the day of the procedure, have the surgery in an operating room, and recover under the care of the nursing staff, all without a hospital admission. Patient satisfaction is a hallmark of the Ambulatory Surgery Center industry. The U.S. Department of Health and Human Services Office of the Inspector General (OIG) surveyed Medicare beneficiaries who had undergone procedures in an Ambulatory Surgery Center. 98% of the people were satisfied with their experience. ASCs perform high quality health care a lower costs compared to hospitals because they maintain low overhead costs and because they can focus on one thing: treating ambulatory patients efficiently. On average, procedures at ambulatory surgery center cost 47% less than those same procedures at hospitals, according to previous studies. "ASCs are actually paid lower rates than hospitals by Medicare and insurance companies and are therefore favored by both payout and employers, due to these cost savings." "PSC recognizes its responsibility to provide care for the entire community, including those not covered by health insurance". PSCL has access to financing for patients who need to make arrangements to pay for their services. ASCs are some of the most highly regulated health care providers in the country. Texas specifies the criteria that ASCs must meet for licensure. The state and the Medicare program survey ASCs regularly to verify that established standards are being met. Physicians' Surgery Center (PSC) will also undergo a voluntary accreditation process conducted by its peer to obtain certification by AAAHC (Accreditation Association for Ambulatory Health Care).